Long summer days and warm nights are what we love about Southern California. 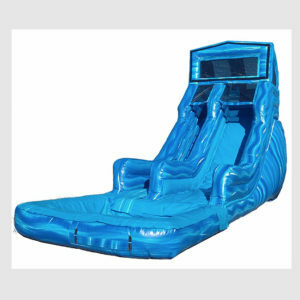 But when it’s blazing hot and you need to cool off, we’ve got just the thing – water! 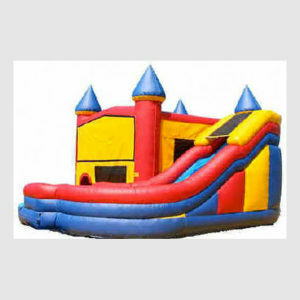 Party Pronto offers a nice selection of wet inflatables from water slides to combo jumpers with water slides and there’s more. 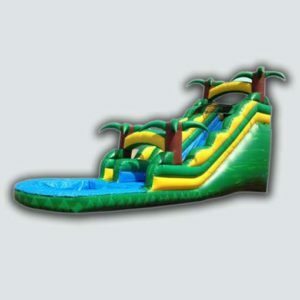 We have a giant Slip and Slide and dunk tanks, too. 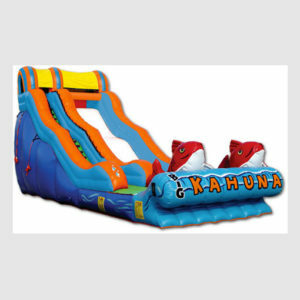 Our water slides or wet-dry slides come in a variety of sizes to fit your space as well as the age and size of your party-goers. 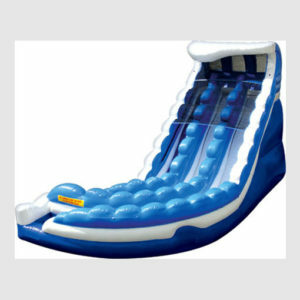 Some of our water slides are high enough for adults to use, while others are designed with small children in mind. 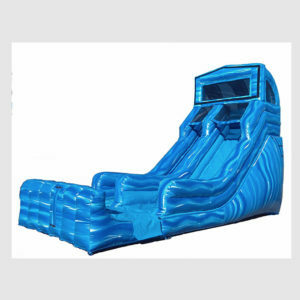 We have single lane and double lane slides, many of which have splash pools. 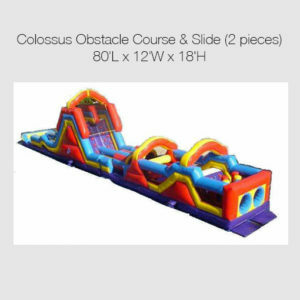 You can pair some of our large slides with our obstacle courses, for example, colossus. 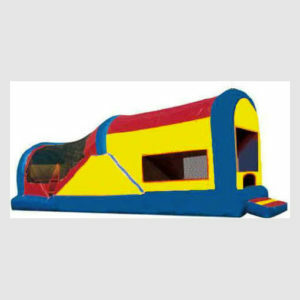 The two units together measure 80 feet! 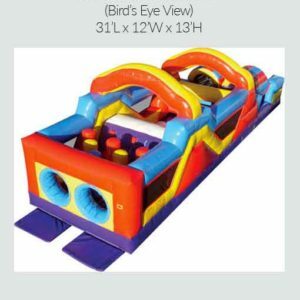 For little kids, we suggest our 3-in-1 combo. 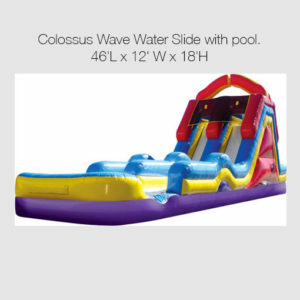 It’s fully netted, there’s no pool, and it uses on a misting unit over the top to get them just a little wet. 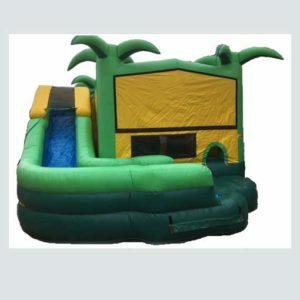 For bigger kids, our 6-in-1 combos have a double-dip water slide with that ends in a splash pool, and is attached to a jumper that has an obstacle course with tunnel and basketball hoop inside. 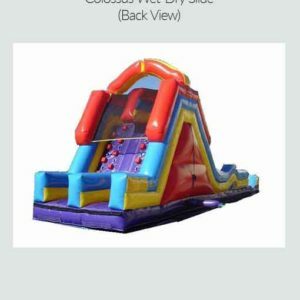 Our dunk tanks are perfect for school, church and community events. They have a plexiglass viewing window so you can see the “dunkee” splash down. 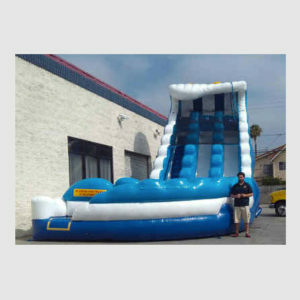 Our Slip ‘n Slide has two lanes so it can handle more volume. 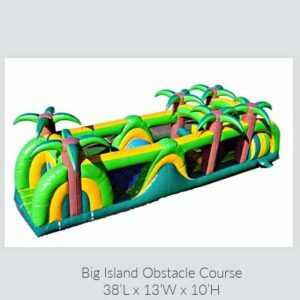 You will be supplying the water for these units, so make sure there’s a spigot nearby and have a hose handy. And keep in mind that there will be water run-off. 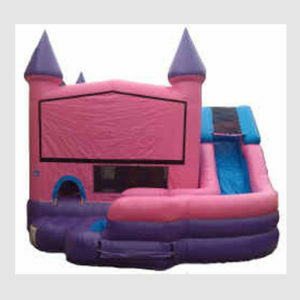 For home parties, our rentals are overnight. 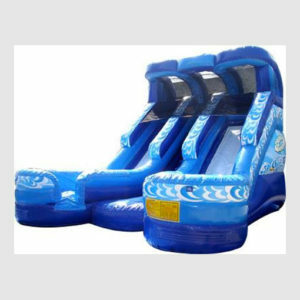 Please be aware that most parks will not allow water slides.